KARACHI: Charging of high prices and sale of low quality items on the motorways may be stopped forthwith, while the M-9 may be brought to the level of other motorways. These directions were passed by Standing Committee of National Assembly on Communications. The meeting was held here at the headquarter of National Highways and Motorway Police, G-13/3, which was presided over by Standing Committee of National Assembly on Communications Chairman Muhammad Muzammil Qureshi and attended by Minister of State for Communications Muhammad Anwer Chaudhary, National Assembly members Saleem Rehman, Engineer Hamid-ul-Haq Khalil, Sanjay Perwani, Naseema Hafeez Panezai, Engineer Usman Khan Tarakai, Munir Mangrio, Chairman NHA Shahid Tarar and many senior civil officers. The committee was informed that high rates are being charged on the motorways. Similarly, food items, particularly related to meat are of poor standards. It directed NHA to take action, stop such practices and report back to the committee. Moreover, it was informed that facilities which are available on M-2 and other motorways are not available on M-9. The committee also said that the M-9 must be brought on the level of other motorways. 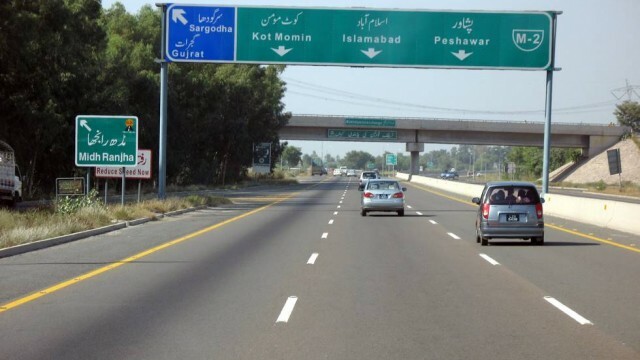 The committee was briefed that several new highways and motorways have been constructed in the area of Sindh and Balochistan but Motorway Police was not deployed on them. The committee took serious notice of it and directed that Communications Division to properly follow the case and solve it within a month, otherwise, both the Finance Division and the Establishment Division will be called to attend the meeting to explain why they failed to perform their duties. It observed that the CPEC is about to complete but the Communications Division is still in need of more time to organise its work force to look after the motorways. The standing committee recommended that special interest may be shown in this regard. The committee was informed that no road signs have been placed on Lyari Expressway and Northern Bypass. It directed NHA to properly perform its duties. Similarly, it was informed that the rise in the pay and allowances of Motorway Police is less than that of the Provincial Police. So, no one is ready to come on deputation from the provincial force. It directed that the pay and allowances of the employees of national highways and motorway should be enhanced as per approval and direction of the prime minister of Pakistan.